17 strips used as gathering centres, originally forming 2 single leaves. 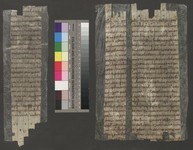 Further fragments from the same manuscript, which contained probably several books from the Old Testament, are kept in the Austrian National Library under shelfmarks: Wien, ÖNB, Fragm. 6, Cod. Ser. 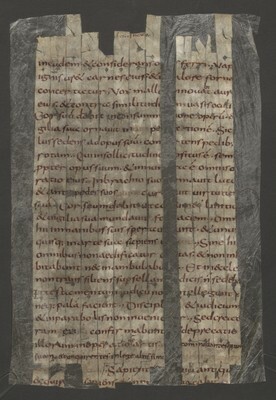 n. 3753, Cod. 15347.